TOP LEFT: Senior Dave Eenigenburg pumps for two points over the Hillcrest defender. TOP RIGHT: Senior Dave Jonkman looks for an open man after pulling down the rebound. 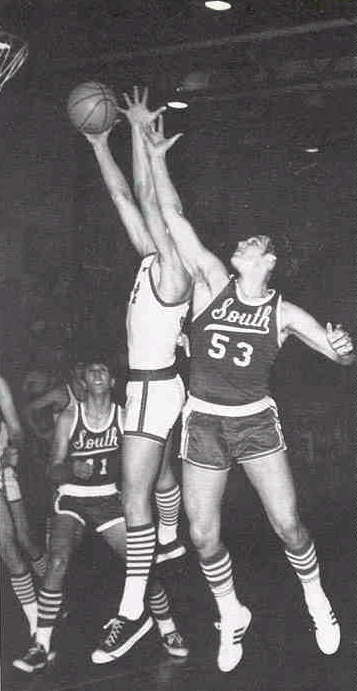 BOTTOM LEFT: All Conference Center, Mark Wojciehowski, vies for a crucial rebound during the North-South game. 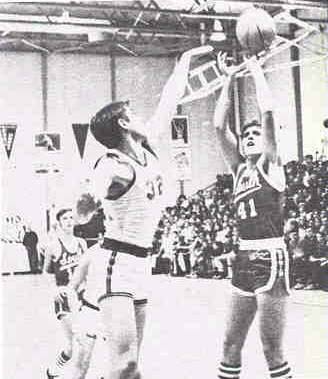 BOTTOM CENTER: Tim Koselke stretches for the rebound with two Hillcrest foes. 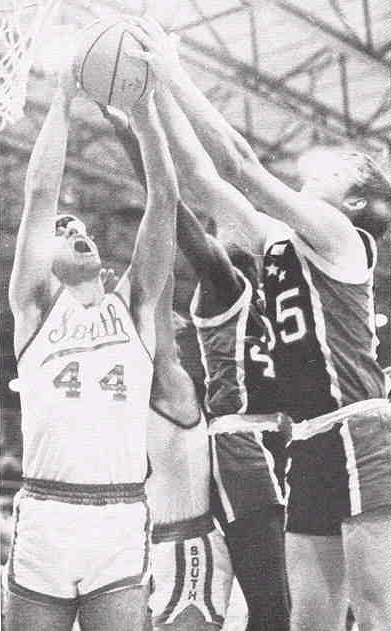 BOTTOM RIGHT: Dave Eenigenburg takes aim for two more points at North.